Vishu celebrated in a good manner at my home today. 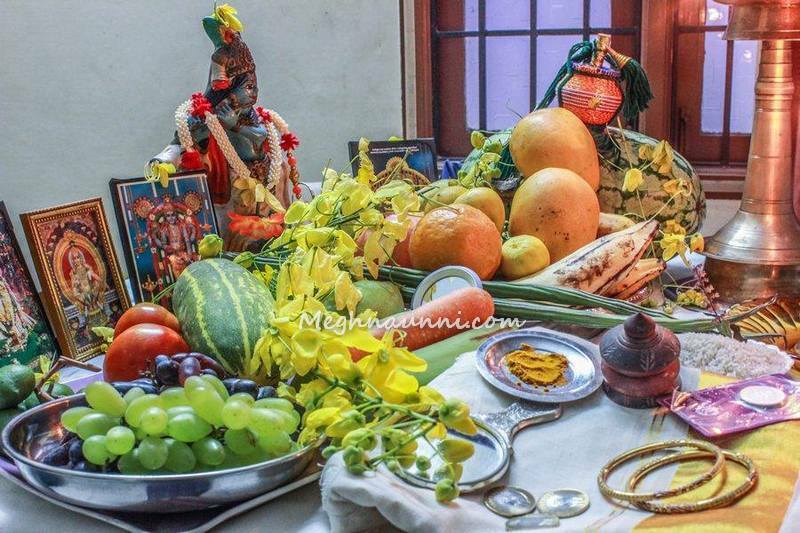 My mother kept the Vishu Kani with all the vegetables and fruits. 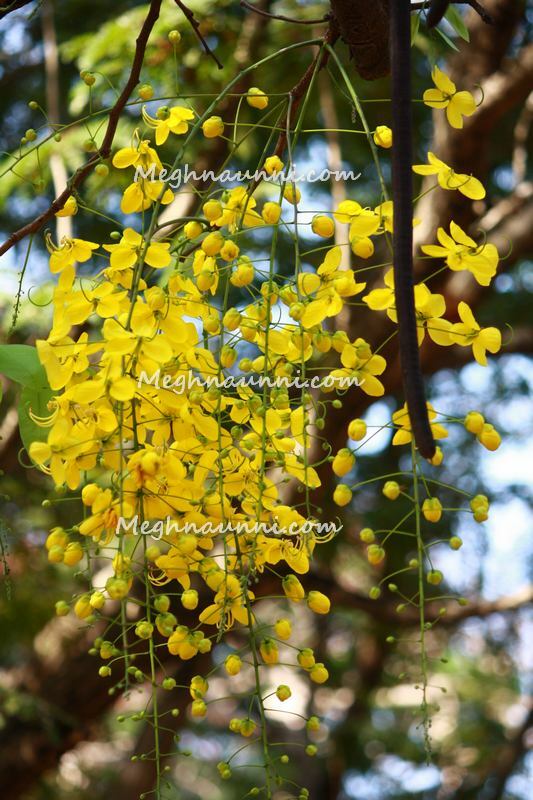 Kanikonna was giving a golden colour for the Vishu Kani. Our small Krishna idol was decorated. 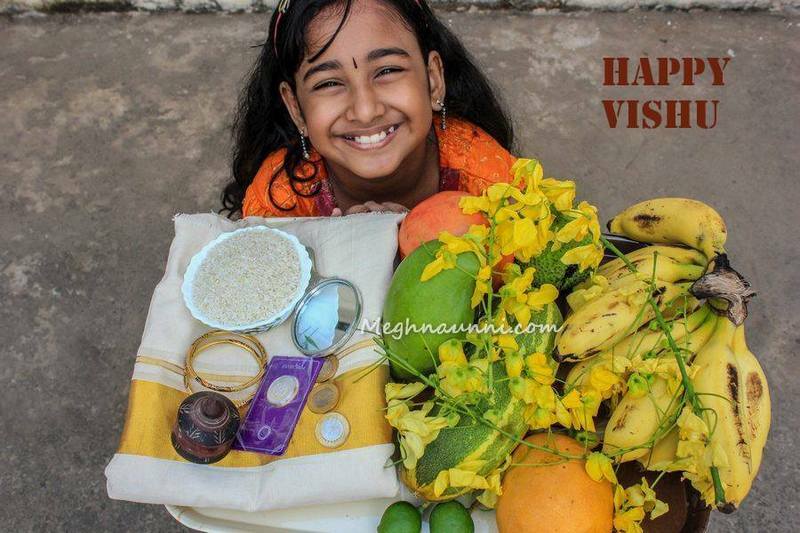 My mother had used Gold and silver along with Kasavu Mundu, mirror, sindoora cheppu for the Vishu Kani. She lighted the lamps early in the morning and woke me up with eyes closed. Then led me to the Vishukani and I opened my eyes to view the beautiful kani. 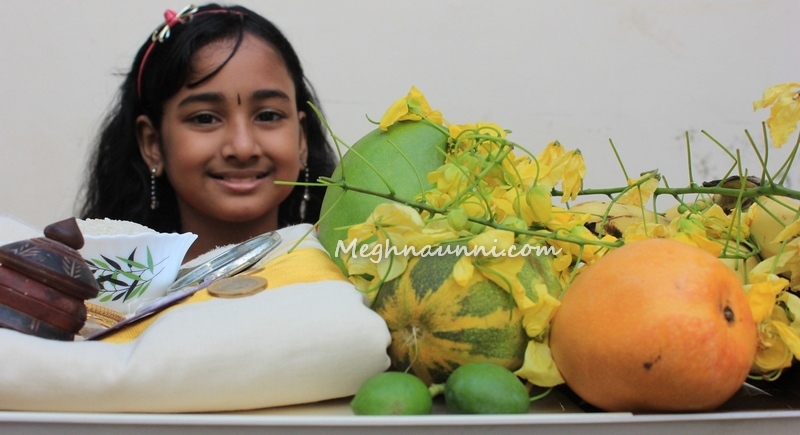 My parents gave me Vishukaineetam (a tradition of giving money to the children by elders). My mother prepared a feast with Palpaayasam. But I had it in the evening as I had to go to school.